On Friday morning, Anthony Bourdain was found dead at the age of 61 in Kaysersberg, France, with the reported cause of death being suicide. 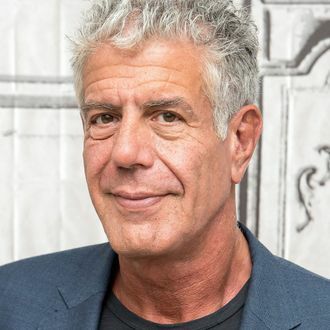 Bourdain had been in the French commune shooting an episode of his popular CNN series Parts Unknown, and was discovered unresponsive in his hotel room by his close friend Eric Ripert. A day later, French authorities are now stating that they have no reason to believe Bourdain’s death involved foul play, with prosecutor Christian de Rocquigny ruling out the involvement of a third party. “There is no element that makes us suspect that someone came into the room at any moment,” Rocquigny told the Associated Press, noting there were no signs of violence. Toxicology reports are currently being performed, Rocquigny added, with an autopsy being the “top” priority.